Drop-shotting is a finesse technique that puts the bait just off the bottom and keeps it there where the fish can see it. They can't stand to have it hang there, wiggling enticingly right in front of their nose. The rods we use for this technique feature extra-fast actions, but the tips are light so the angler can impart a subtle wiggle to the bait without a lot of wasted motion. The soft tip also allows the fish to eat the bait without a lot of resistance. The magnum taper allows the rod to load up so quickly that once you lift it, the fish is hooked. NRX adds yet another dimension to the technique with incredible sensitivity. When a bass touches the bait you know it!! This rod takes the drop-shot technique to an entirely new level. A soft tip that allows you to see the bite before the fish feels it is one thing, but feeling that almost inaudible tick as it happens is almost like an unfair advantage. 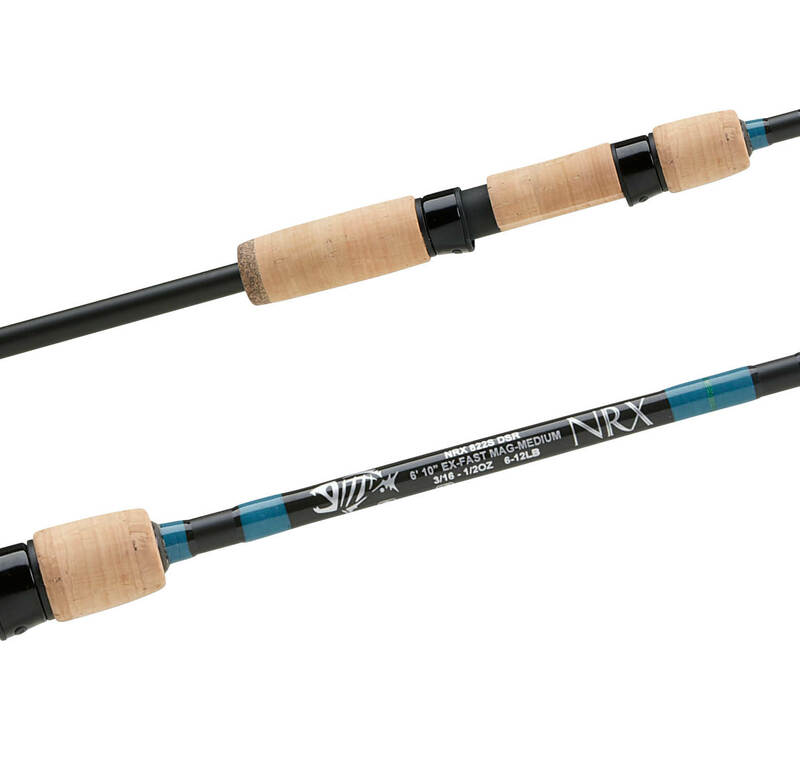 This model is made for deep-water and heavy cover, but it's still soft enough to be effective. When those big spots suspend in the trees on popular impoundments like Georgia's Lake Lanier, you'll want this rod in your hands. NRX makes it so sensitive that you'll know everything that happens at the end of your line and it still has enough power to pull a big away from trouble. You won't find a more sensitive rod on the planet.